Our experience with Integro was really positive. 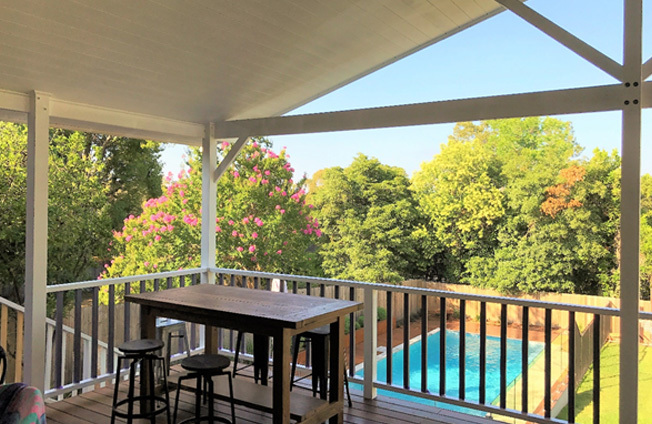 From the initial consultation through to the completion of the design, Craig and his team were able to help us turn our back yard into a beautiful space that family and friends will enjoy for years to come. Integro builds what the client wants whilst offering sound advice along the way. This helped us achieve an even better result than we anticipated. We are thrilled with our deck and pool area. The Integro team are polite, punctual and reliable, a pleasure to have on site. We have used Craig and his team a number of times in the renovation of house and would highly recommend them. We have used Integro Carpentry for many different projects around our home, both large and small scale. We have found Craig and his team to be highly personable, extremely professional and their workmanship is of the highest standard. They are prompt, honest and completely transparent. Throughout the process Craig was happy to work with the designs that we had developed but gave us open and honest feedback and ideas throughout, which were both helpful and welcome. We would happily recommend Integro Carpentry to anyone. We want to thank Integro Carpentry for our beautiful new fire pit done to perfection. Craig was so helpful in giving us new ideas which added extra space and functionality. This really made such a difference and the end result was much better than we had hoped. Thanks so much and I would highly recommend Integro Carpentry. We first used Integro Carpentry for a small project to build some outdoor storage boxes. 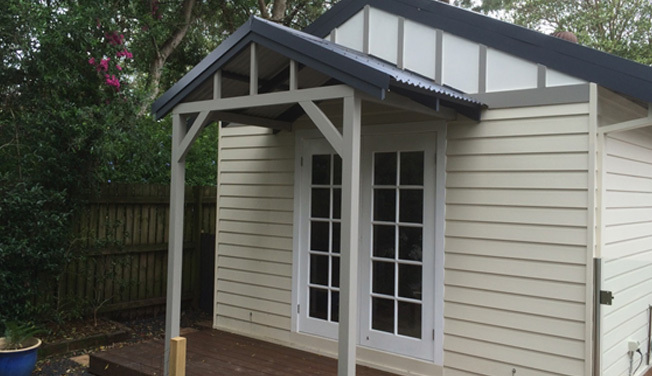 We were so impressed with the work done that we asked Craig back to work on some bigger projects – cladding our home office/granny flat, creating a storage space under the house, turning our old laundry into a rumpus room. We have recommended Craig to many of our friends who have also been impressed with the work done. Craig turns up when he says he will, sticks to the estimate he provides, finishes the work quickly and to a high standard. 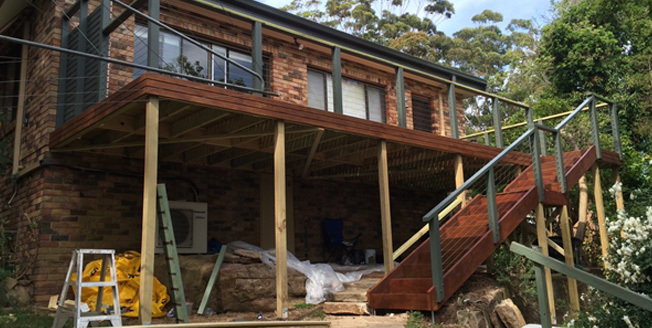 We employed Integro Carpentry to replace two large timber decks of our house. The result was very pleasing, was done professionally to very high standards. The work was completed to specifications and we were very happy with the two decks. 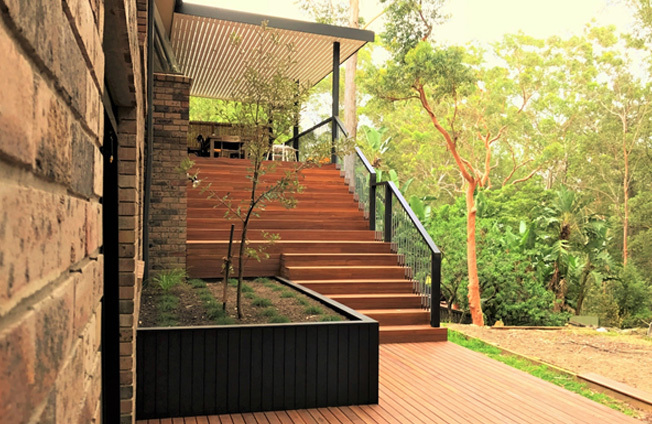 We would not hesitate to recommend Integro Carpentry for any timber projects. See how we can help with your next renovation project!